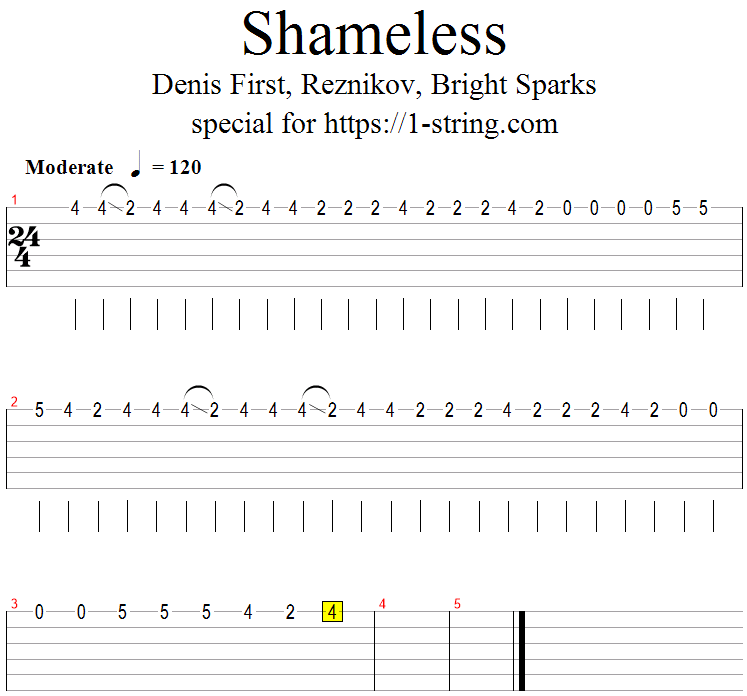 In this lesson I show you how to play Denis First & Reznikov – Shameless on one guitar string. This song is very popular now and is on the TOP-100 list of USA and Indian Shazam. I like the chorus of this song. This song isn’t very easy bcs of glissando and speed of playing – it’s a bit fast 🙂 But I think you’ll cope with it!